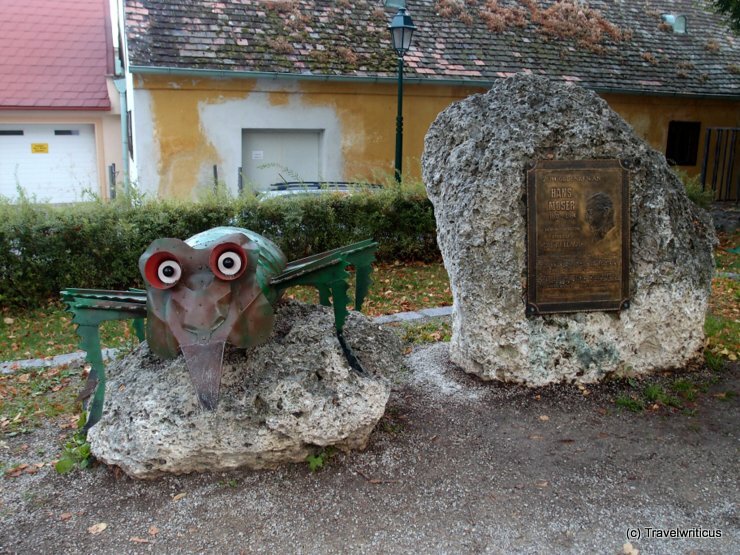 This fun sculpture is placed next to a memorial plaque to the Austrian actor Hans Moser. Both are standing in Gumpoldskirchen, a centre of wineries south of Vienna. Besides his movies and plays Hans Moser got famous for singing a song about the ‘Reblaus’ (‘Pyhlloxera’). The Reblaus is a pest for grapevines.